This lovely white lard has a very mild flavour and a superb texture. It is a great saturated fat for cooking in with almost no taste. Also great in baking. 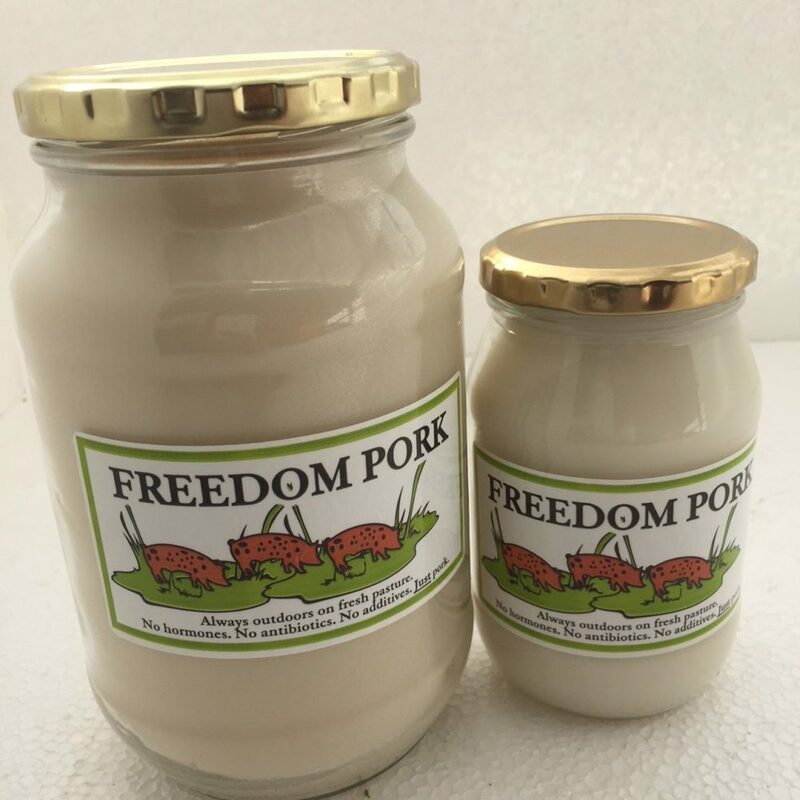 These beautiful pork products are produced on a small farm in Limpopo, just north of Pretoria. The pigs are always outdoors and move to fresh pasture almost daily. As they go, they rehabilitate the ecosystems on which they forage. The pigs receive absolutely no hormones or antibiotics as they happily enjoy the fresh food and lovely mud.